Card Text Reap: You may fully heal a creature. If you do, that creature cannot be dealt damage for the remainder of the turn. Can I fully heal a creature that is not damaged, so that it cannot be dealt damage for the remainder of the turn? No. 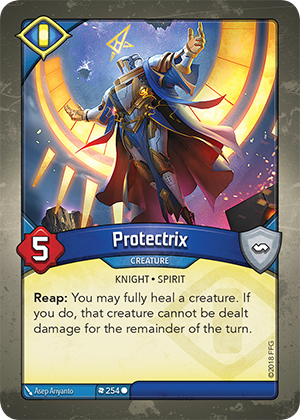 If a creature has no damage, you have not fully healed it (because no damage was removed), so the “if you do” clause is not satisfied and the creature is not protected against damage for the remainder of the turn.